We just listened to Great Tom, the bell in the tower built by Christopher Wren, chiming 101 times, as it does every night. 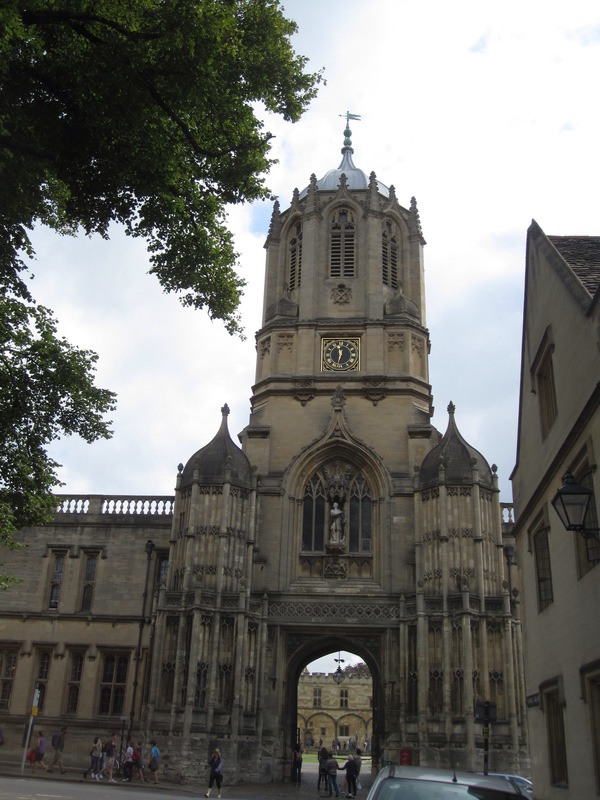 This practice dates from the time when the college had 101 students, and they were hailed to return to the confines of Christ Church College before the gates were locked for the night. The bell rings at 9:05pm, which is 9pm Oxford time, since it is west of the Greenwich Meridian, and back then, time was not so unified (the coming of railroads changed that). This is one of the many many things we learned today, often but not only about the incredible place we are staying, a college founded by Thomas Wolsey but sort of co-opted by Henry VIII. Famous alums include 13 prime ministers, Lewis Carroll, William Penn, and Christopher Wren, but I could go on and on. 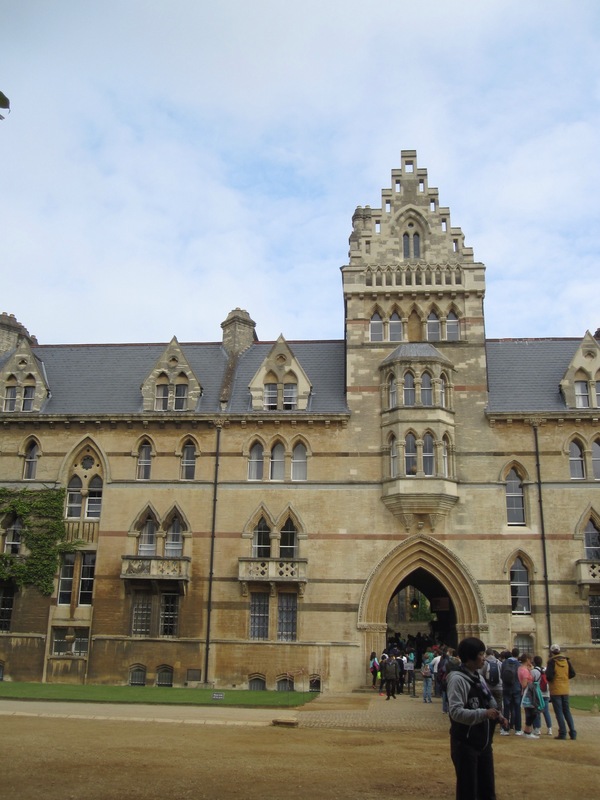 We also learned that, in the not uncommon manner of British words being pronounced completely differently from how they look, several of the Oxford college names are pronounced differently, including Magdalen (maudlin) and Balliol (bay-lee-ill). Who knew? So, today we did a walking tour of the city (which really means the area around the colleges), checked out Christ Church Cathedral (anyone ever hear of any other college that has its own cathedral? ), and had a very flavorful dinner at a Thai restaurant Angie discovered on Chowhound. When we made the reservation for that, the man I spoke to asked if we could be finished by 8:30, and once we got there, we saw why. There was a constant turning of the tables, and the food was g-oo-oo-d. But, I think the highlight of my day was breakfast. We got to eat in the hall where so many notable people have dined, and at the high table no less. Today we were pretty focused on food (that happens after a hard day in the saddle) so we didn’t take in all our surroundings other than some of the portraits of notable members of the college, and the spectacular vaulted ceilings, but tomorrow we do want to make sure we check out the Charles Dodgson portrait and the Alice in Wonderland stained glass window. We booked kind of late so may have missed better deals in hotels or hostels, but the nightly rate for staying at one of the colleges also includes full breakfast, wifi, free laundry, and access to places the visitors get to see without having to spend £9 admission, like the cathedral, plus areas that are off limits, like the dining hall. I hate to sound like Rick Steves, but it’s well worth investigating. 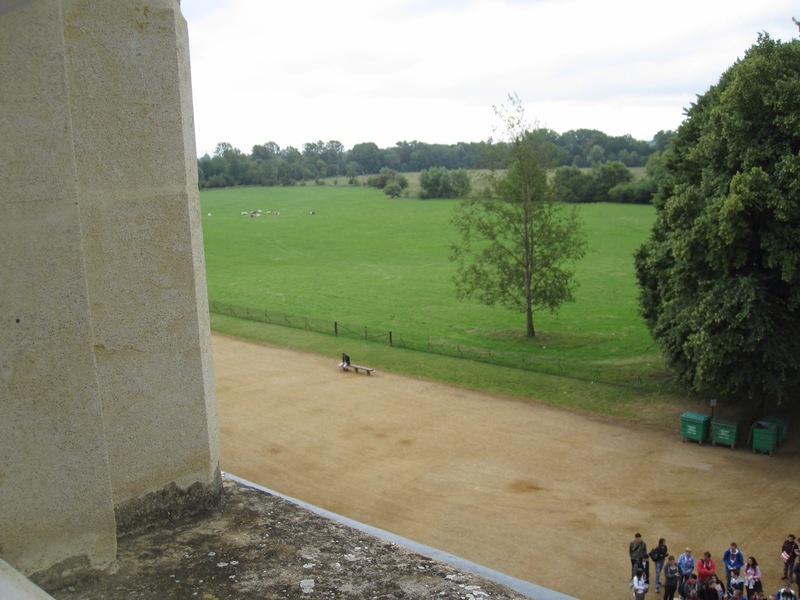 Here’s a couple of snaps, one is the view of the meadow from our room (complete with cows), and one view of our room from the meadow. Our room is the one at the top (68 steps, Angie counted), with the windows open. Sorry about the big pix. Hard to resize on the WordPress app. One last thing we learned today: one must make a reservation to take a bike on an intercity train. 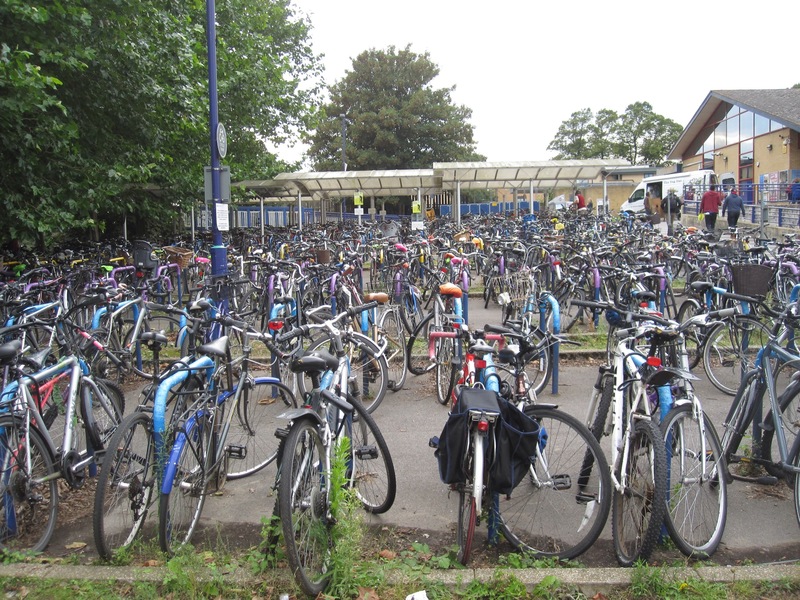 This picture from Oxford station may give you some context here. I, too, would like to chime in on the enjoyment factor. I am loving it. Don’t worry about sound like Rick Steves, I love watching his show.